WHERE WE SUPPORT -- Let's GO ! Canyon Baptist Church, Montana: Lewie Tidwell led a missions team to Canyon Baptist Church in June 2004 to work on their building and conduct a Vacation Bible School. The missions team effort kick-started the work of Canyon Baptist Church in Hungry Horse, Montana. It was readily apparent that this struggling start-up church in a poverty-stricken area needed financial assistance, and Canyon Baptist Church was included in our annual budget. The ministry continues to grow and Pastor Lee Swafford and his supporting staff continue to lead Sunday services as well as an adult meal and Bible study on Tuesdays. They have also joined with local churches, in an effort called Beyond Borders for Christ, to institute small group volunteers that help with driving and serving. This is also the 3rd year for Summer In The Horse, a 7-week "day camp" for vacationing students -- including opportunities for volunteers and interns! They also continue their addiction recovery and depression program -- please pray for these workers, their ministries, and those that have accepted Jesus as their savior because of these efforts. 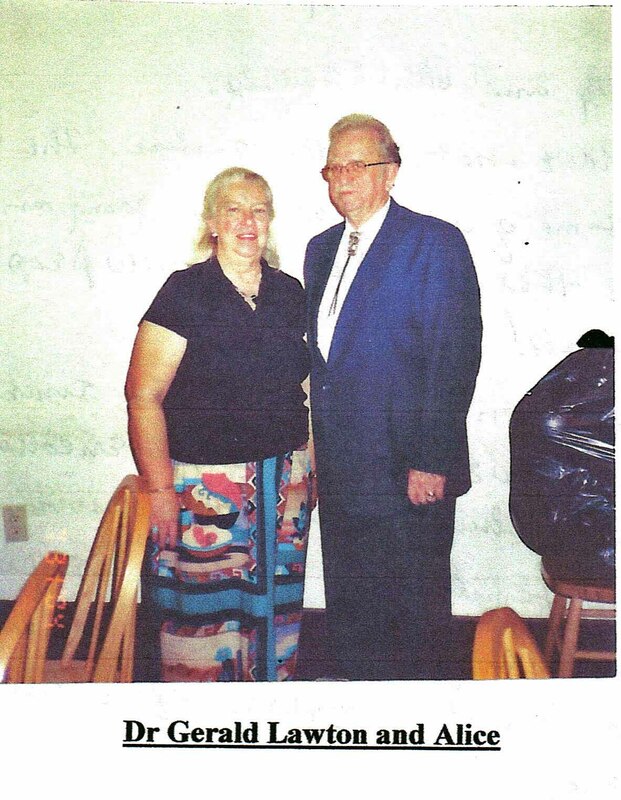 Dr. Gerald Lawton -- New Mexico: Brother Lawton moved to a church site in the Navajo Reservation near Gallup, New Mexico in the spring of 2004, when a large group of First Baptist Church youth and laymen went to make church repairs and conduct a Backyard Bible Club. After their return our church began providing monthly support. Neither the NAMB nor New Mexico Baptist State Convention provide monetary support for Brother Lawton. In 2009 that church was closed and in 2011 the Lawtons moved to nearby Yarnell, Arizona, where they continued to continue their missions work, holiday/food bank donations, and tracts delivery. The Lawtons themselves have suffered numerous medical problems and serious falls, but remain busy working for the Lord. Mountain Marketplace Mission, WV: The Mountain Marketplace Mission in Webster Springs, West Virginia, was started 17 years ago as a result of Gary Melton’s vision. Gary and Lily, destitute and living in a car, answered God’s call and purchased an old two story house for a mission to serve the poor people in Appalachia’s second poorest county. God has continually blessed this mission as it serves the poor, with no pre-qualification, with food, clothing, and furniture; continually building their clientele to around 800 families in 2009. Our church has participated in five mission trips sponsored by the (then) Emerald Coast Fellowship of Baptist Churches. We did construction and held Vacation Bible Schools and Backyard Bible Clubs during each trip. The physical facilities were impacted by floods in the past 2 years and are slowly being rebuilt. Gary and Lily have no income except love gifts, so direct support helps them meet daily expenses you and I often take for granted. Please pray also for Gary's medical issues and his recuperation as he/Lily continue their ministry. Brett and Lyuba West, Church Planting Missionaries, Houston, TX: Brett is from a small town in the hills of Tennessee. Lyuba grew up in a small village on the other side of the world in Kazakhstan. After moving to America to flee religious persecution, Lyuba and her family quickly learned how much need there was for the Gospel to be spread right here in America. Brett and Lyuba were married in September 2015 and after prayer and immense preparation they have gone to Houston Texas as full time unfunded North American Mission Board missionaries to share the Gospel with international people groups. Please click HERE to read their latest newsletter. They need our prayers and would also be happy to accept your above-your-tithe donation in support of their ministry. Congratulations to Brett and Lyuba on the birth of their son Mark and continued success of their ministries. Jay and Heather Lucey, Camping Ministry Forest Springs WI: Heather Lucey grew up in our church and, with her husband Jay and family, participated in the Forest Springs Christian camp and conference ministry in recent years, where they continue to serve. Please take a moment to read their blog HERE and prayerfully consider an above-your-tithe donation to this family as they follow God's leadership and help others find their way to a new or enhanced relationship with God through Jesus' sacrifice. You may contact them directly through their blog, and above all please keep them in your prayers.